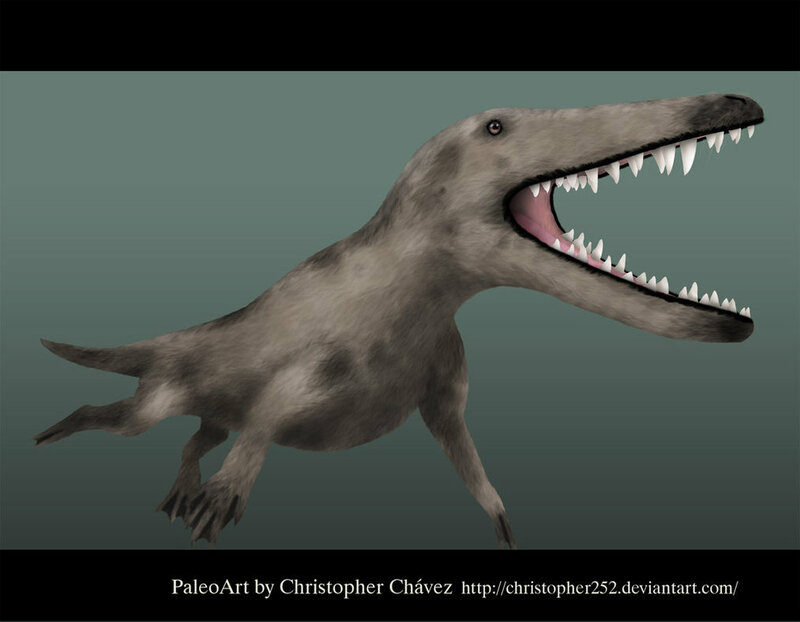 Ambulocetus pictures show this animal as some sort of oddity. 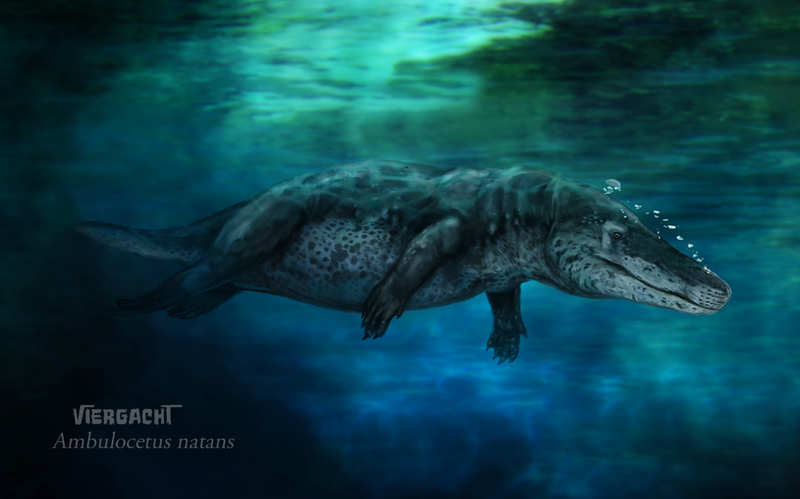 As a crocodile-like creature with long jaws, sharp teeth and webbed fingers and toes. 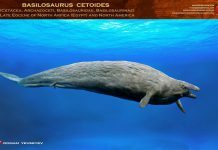 Some drawings of it show it with fur and some of it show it without fur and looking very much like a land-dwelling dolphin. 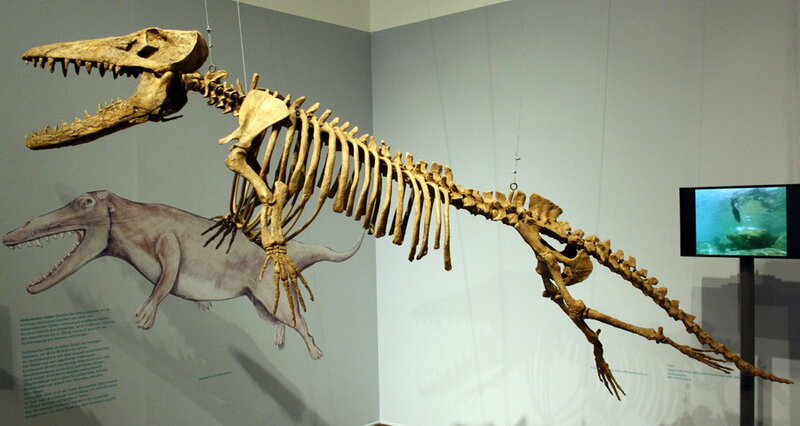 Ambulocetus was approximately 10 feet long and weighed around 550 pounds. That means that it was approximately the size of an American alligator – which is about 11 feet and 500 pounds. 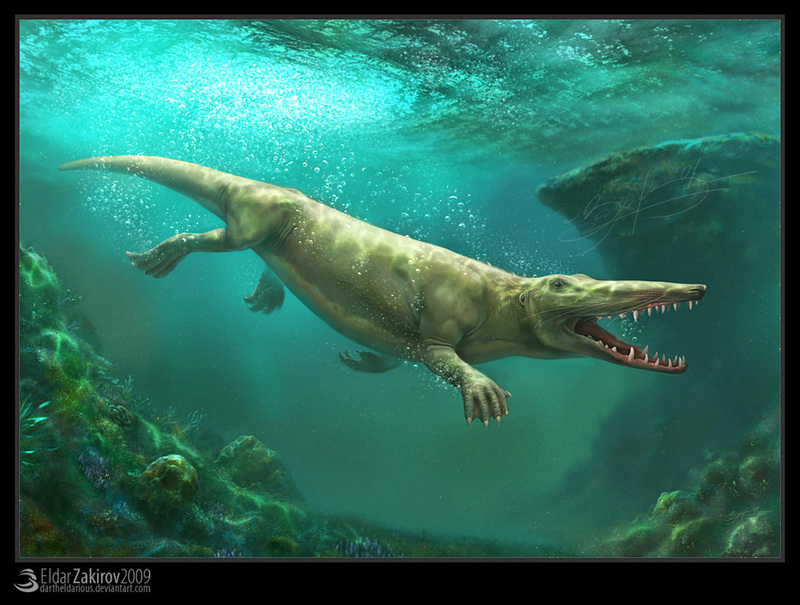 Analysis of its teeth shows that it was capable of living in all sorts of bodies of water, from freshwater rivers and lakes to salt water oceans. 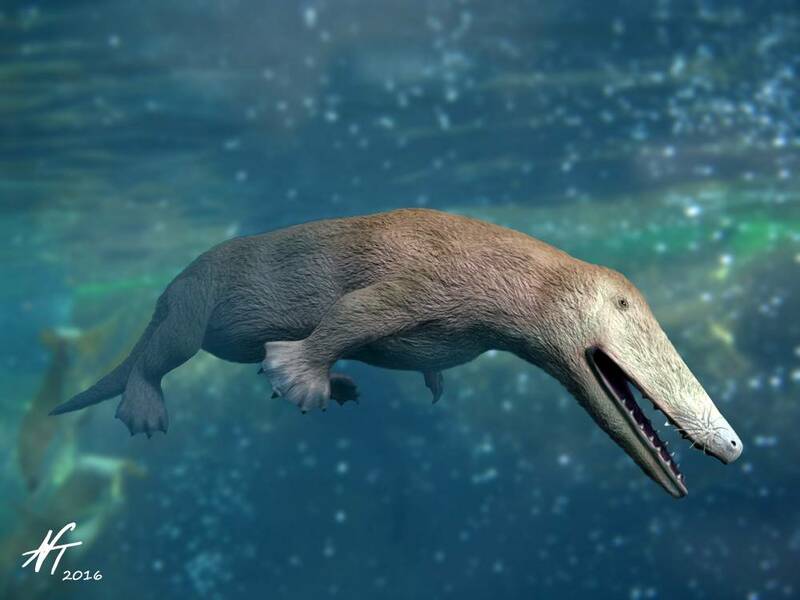 Currently, paleontologists believe that this animal was a transitory phase of land animals beginning to make their ways into the oceans and eventually evolving into whales. 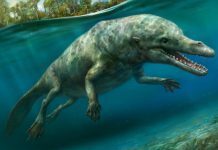 Scientists believe that because this animal had inner-ear structures very similar to modern-day cetaceans and also had teeth that were very whale-like. 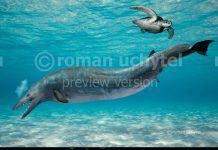 Plus, this mammal also had the ability to swallow underwater – which would have been useful for hunting fish. 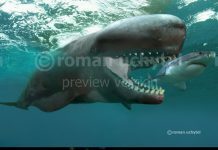 Therefore, it is seen as a kind of “missing link” between land animals and whales. 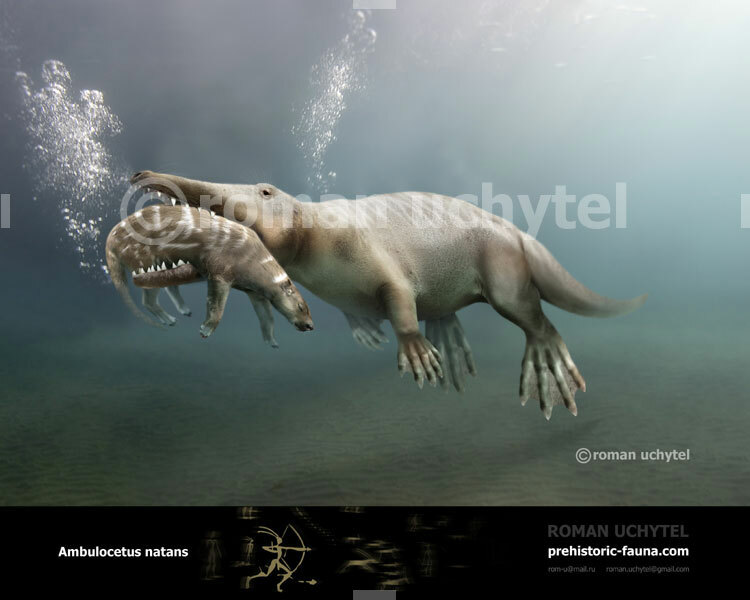 One of the most interesting facts about Ambulocetus is that its fossils have been found in India and Pakistan – two countries which are not known for their abundance of prehistoric megafauna. 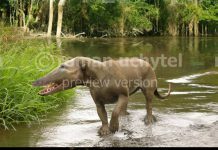 However, while that might mean that these animals were endemic to India, it might also mean that this area merely offered the right conditions for forming fossils of this mammal and these animals actually existed all over the world. Until further evidence is uncovered by paleontologists, then it can’t be known for sure.